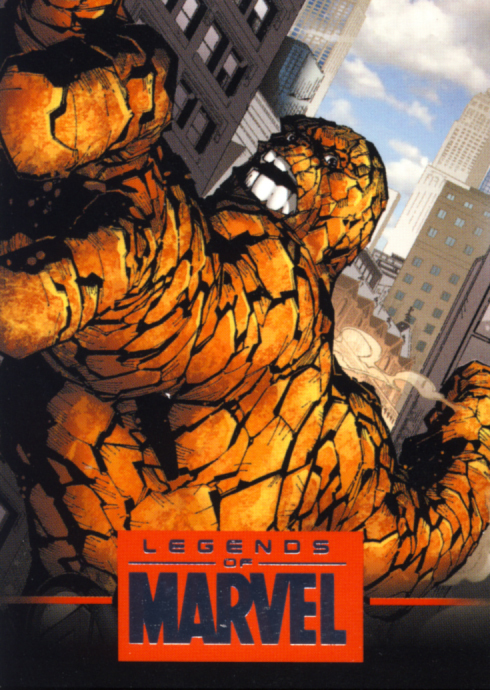 Rittenhouse Archives has released the forth series of Legends of Marvel and as with the other Series before it, these cards look great. 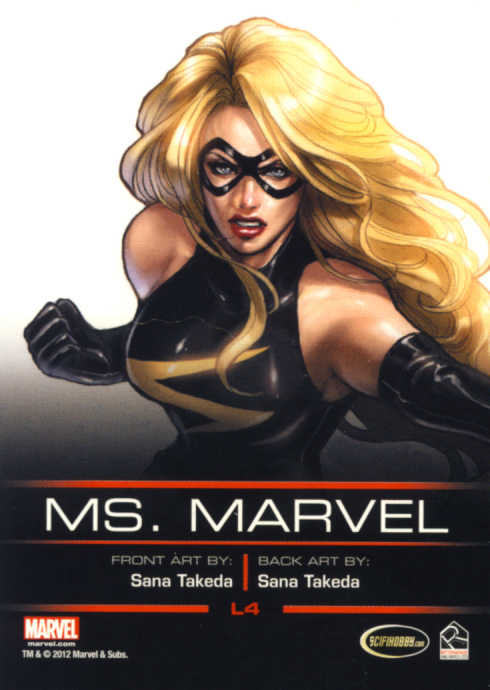 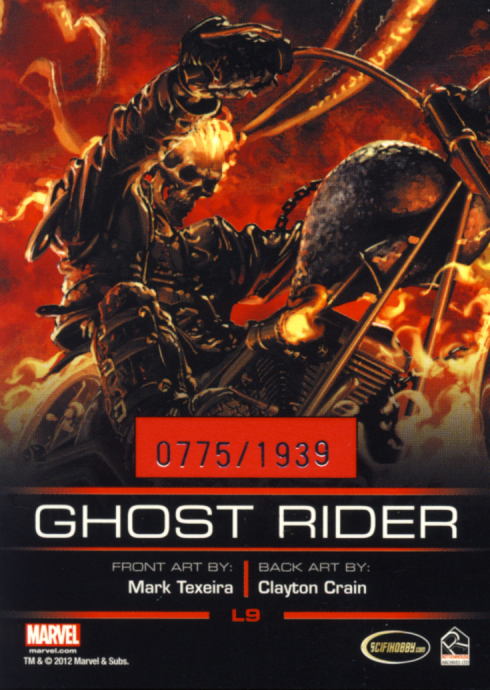 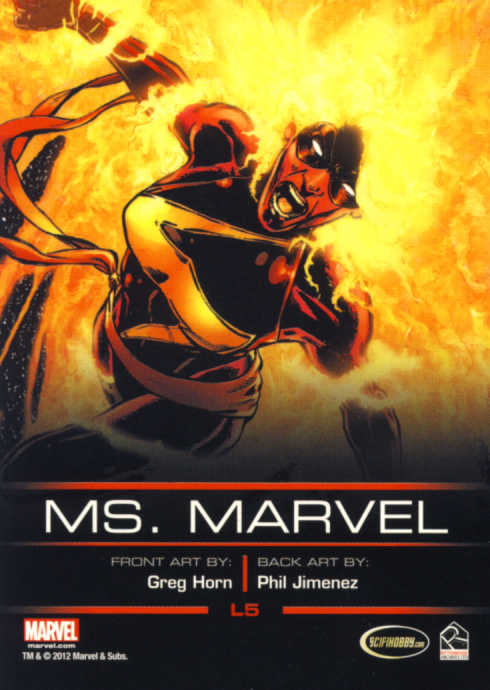 There are 9 double-sided cards for Thing, Ghost Rider and Ms. Marvel. 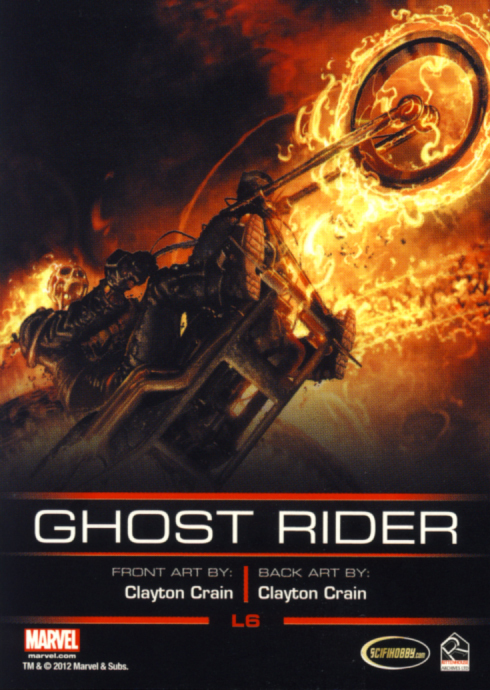 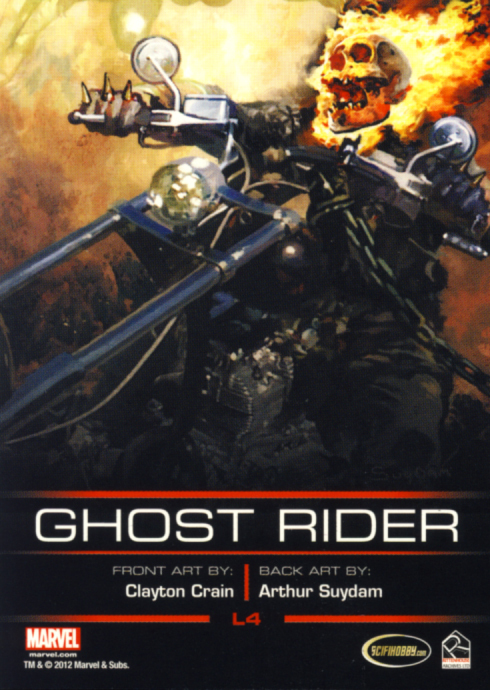 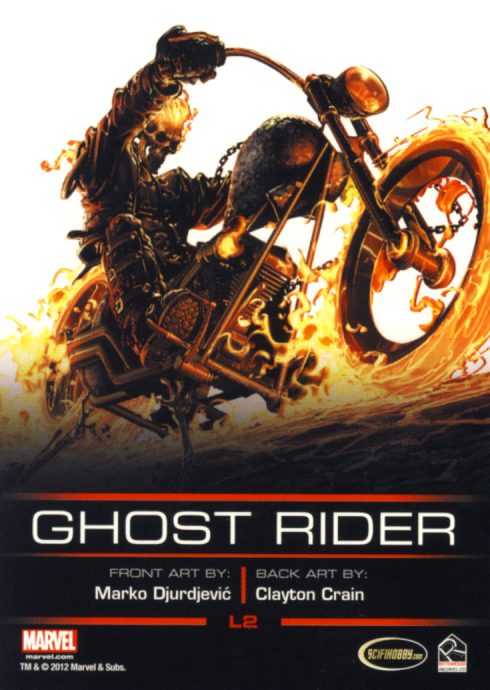 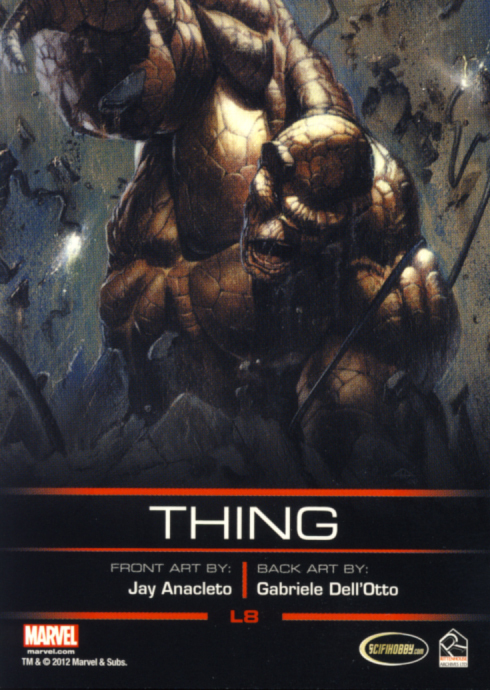 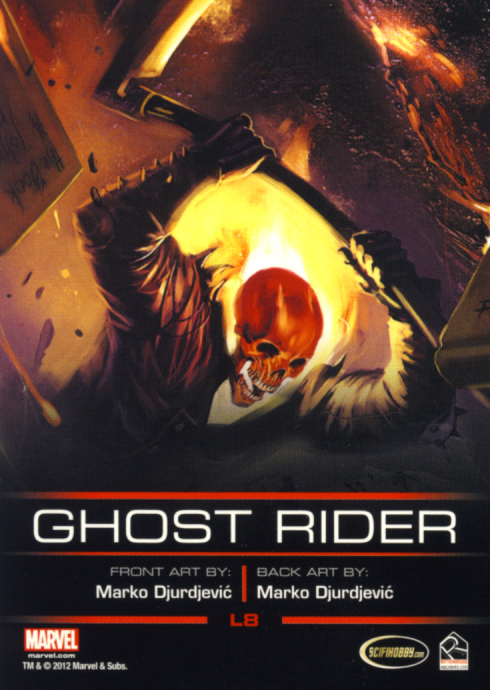 While there is an artist who tends to dominate Ghost Rider (Clayton Crain) and an artist who tends to dominate Ms. Marvel (Greg Horn), there are still plenty of interpretations of each character by different artists. 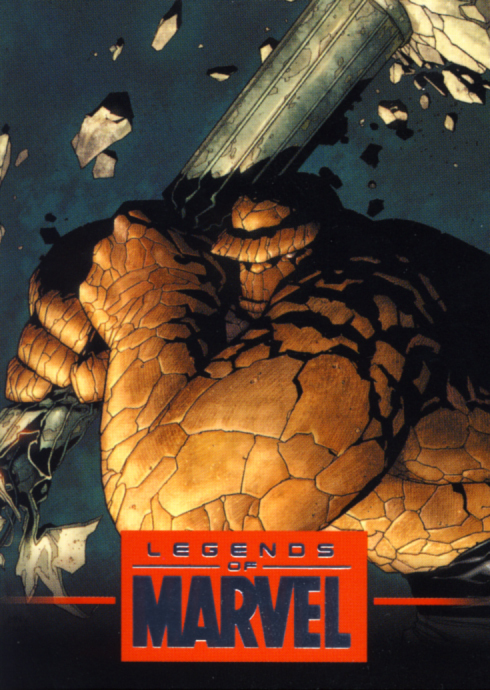 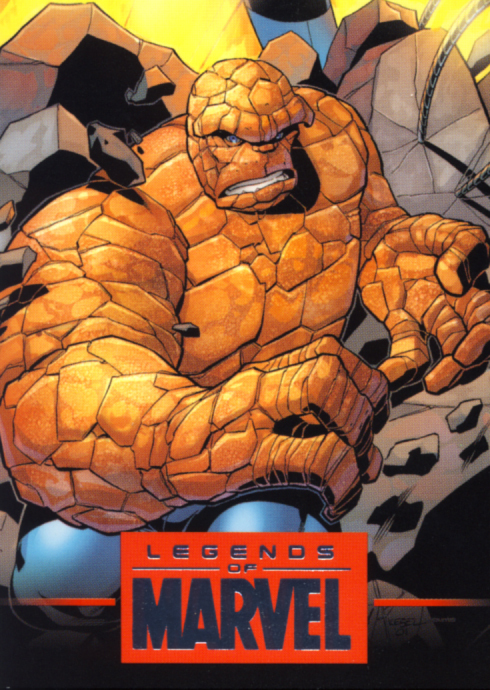 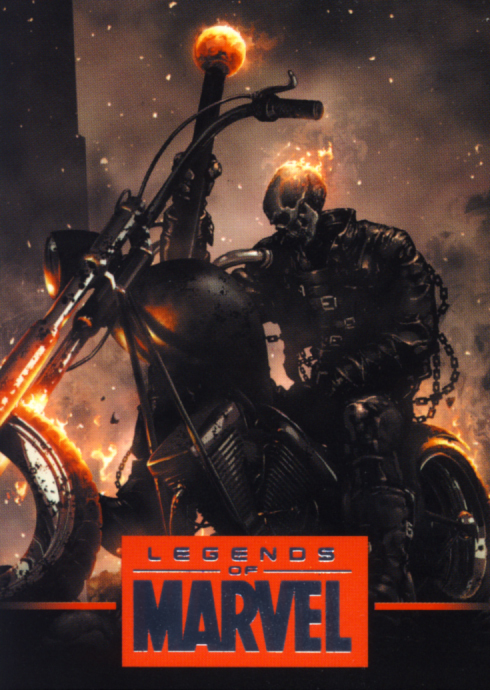 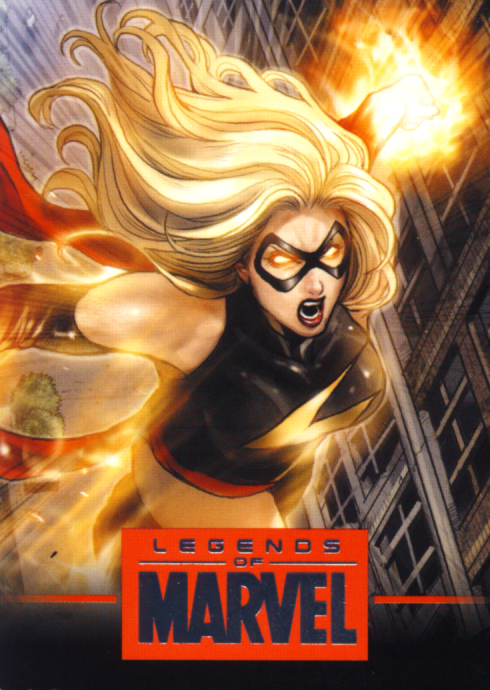 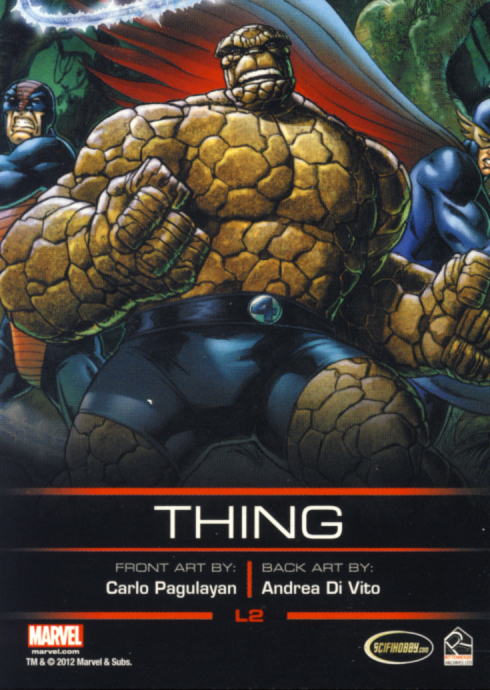 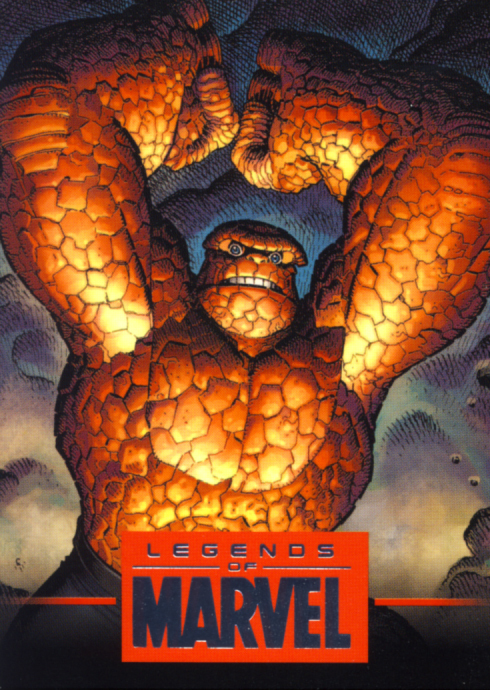 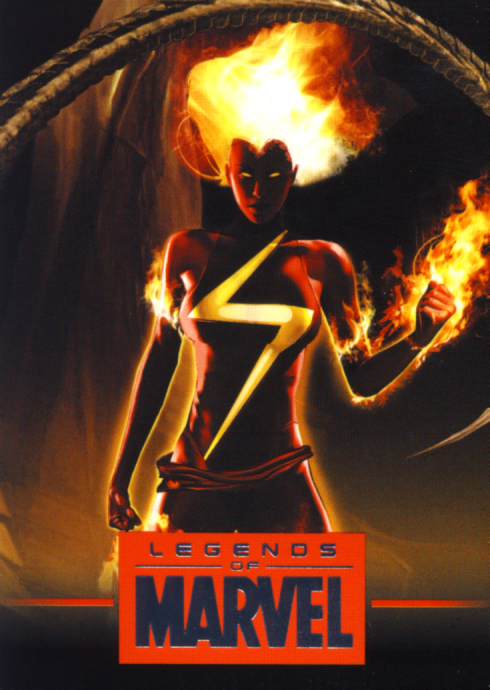 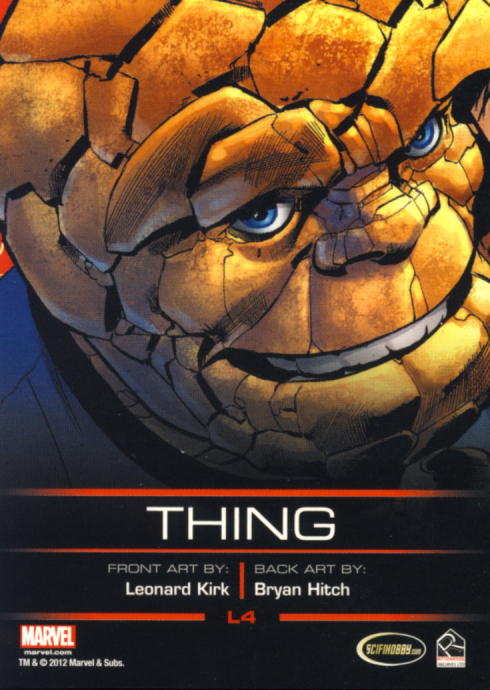 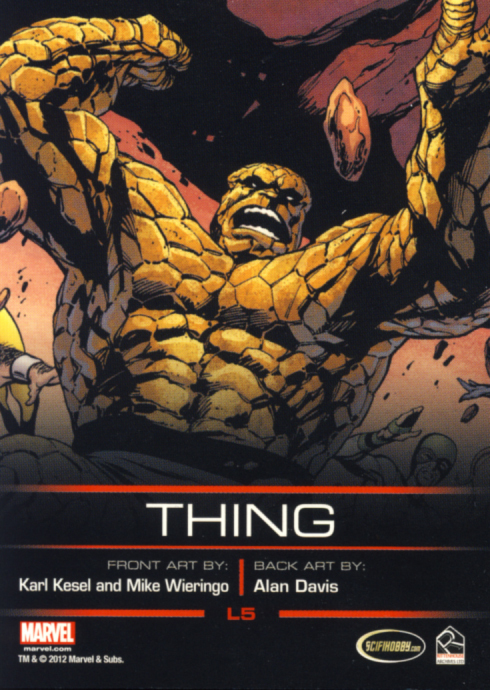 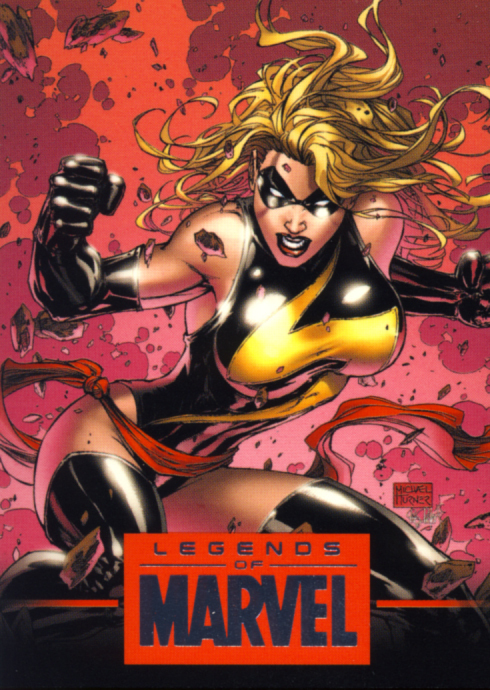 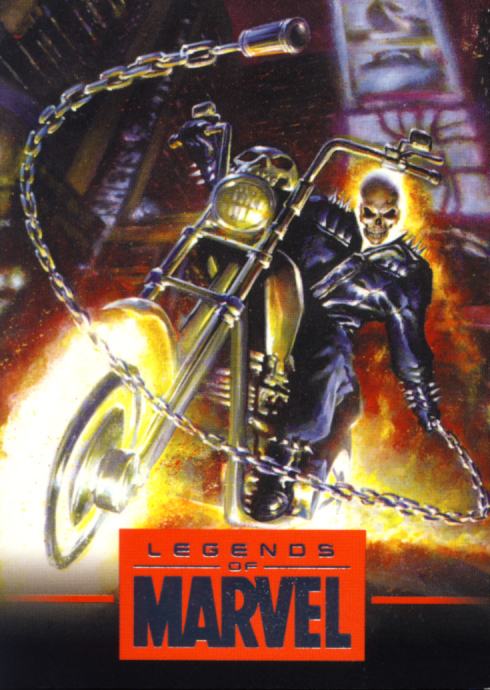 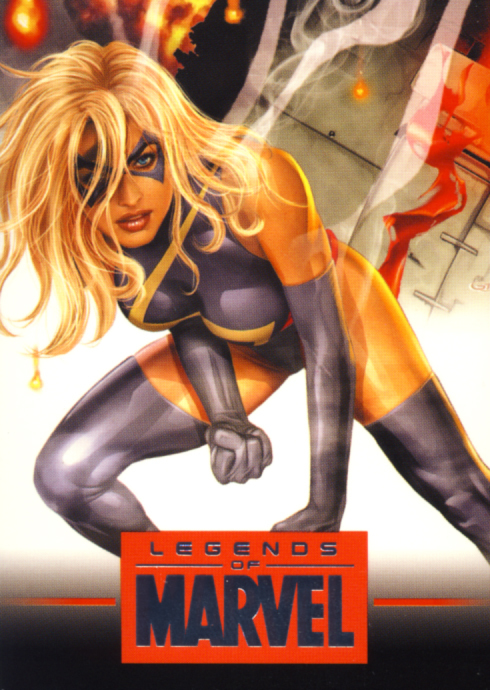 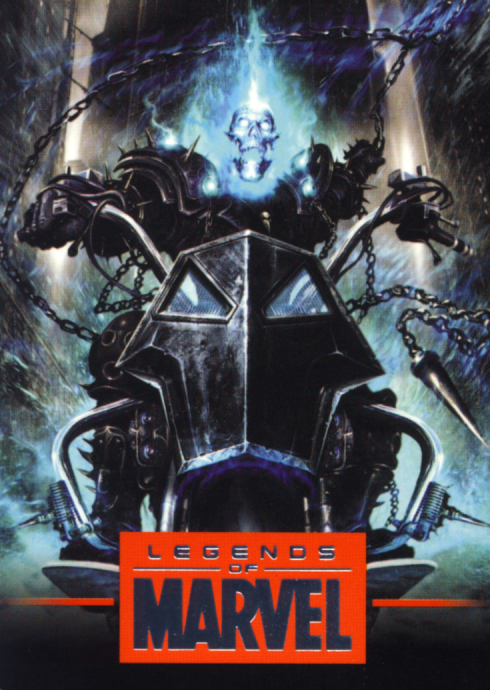 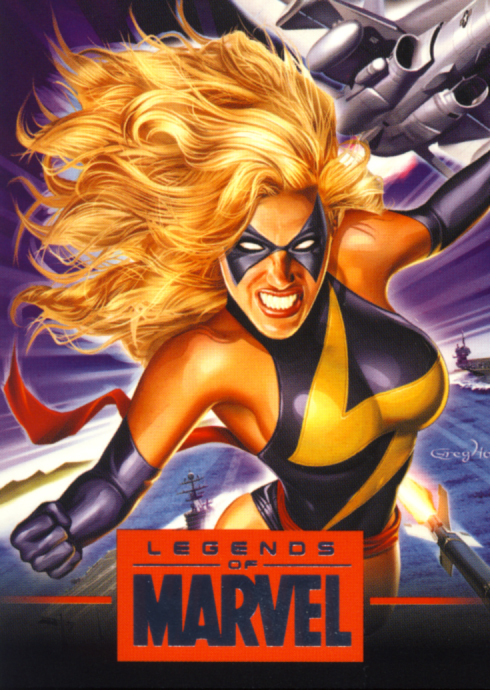 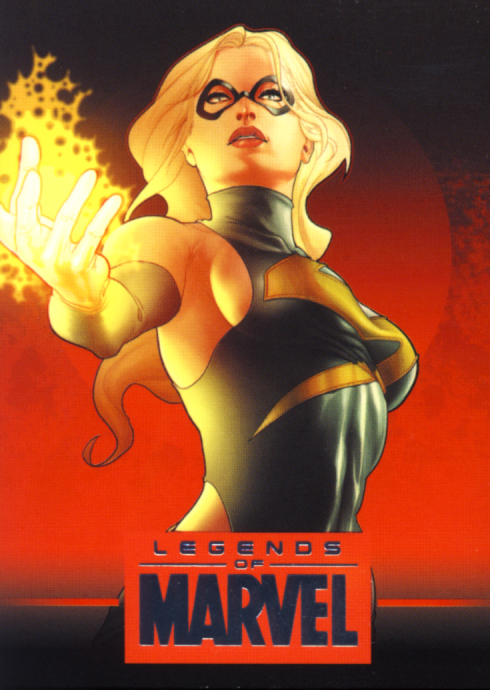 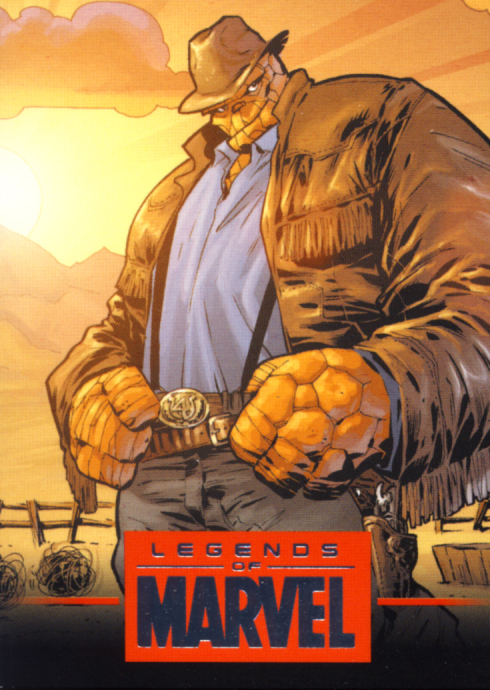 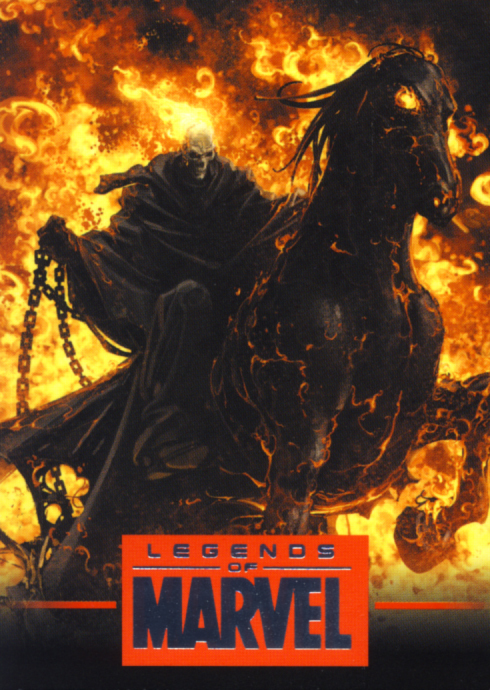 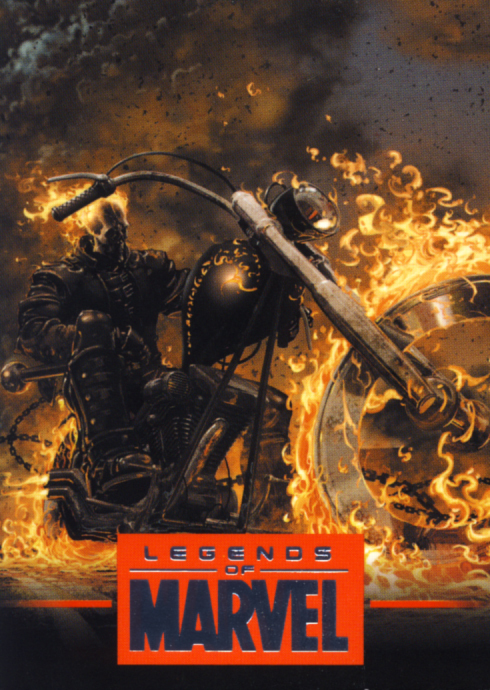 Legends of Marvel Series 4 is classified in our trading cards category. 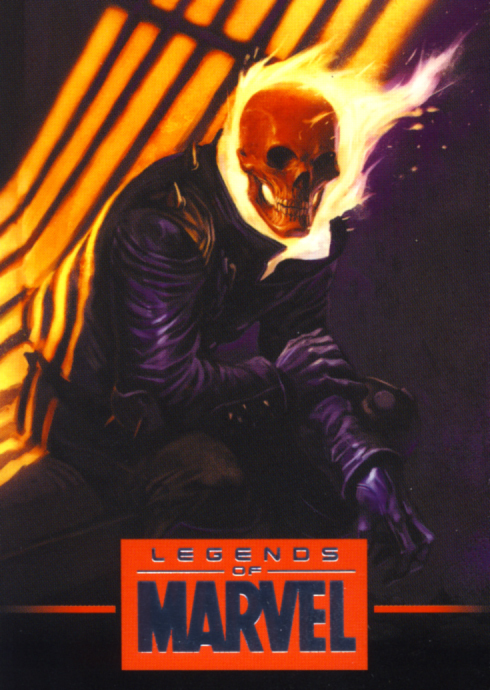 Series 4 comes in a cello pack and contains 9 cards for each of the 3 characters for a total of 27 cards. 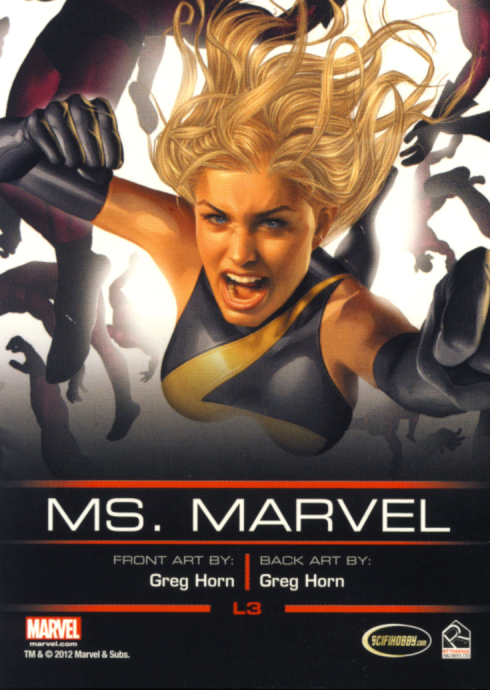 Card number 9 in each characterâ€™s individual set is numbered. 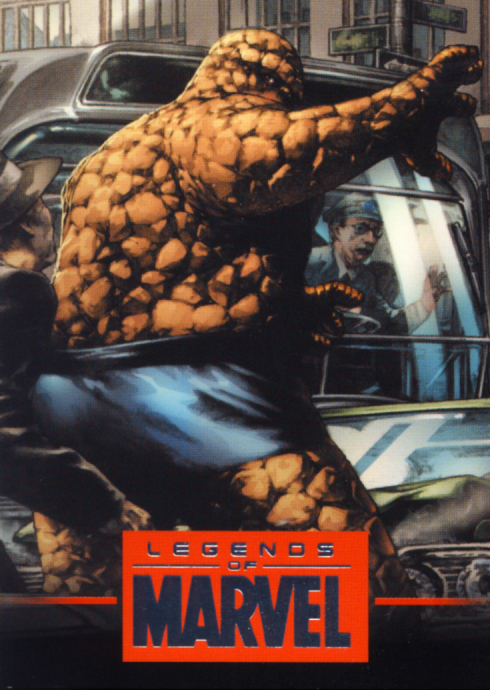 Only 1939 limited edition sets were made for series 4, in commemoration of the birth of Marvel Comics in 1939. 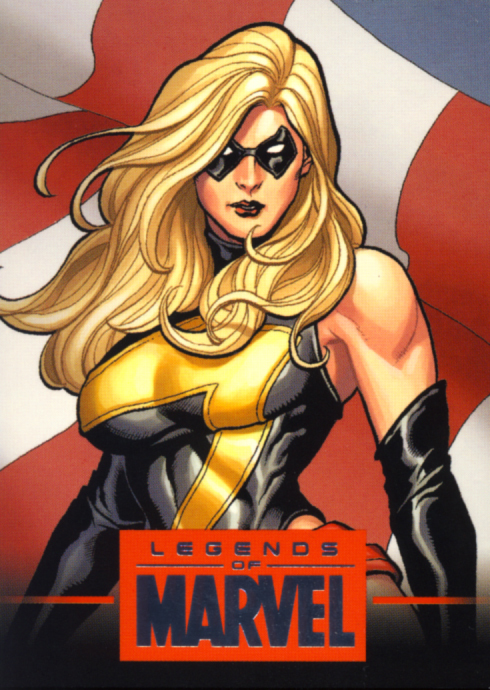 All sets are identical except for the sequential numbering. 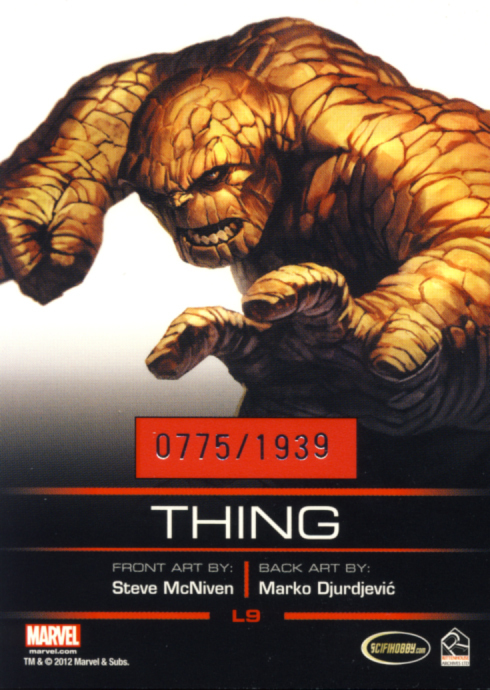 In addition, you can match the serial numbers of previous sets you have purchased for continuity, as happened for us, getting serial number #0775 to match our other cards. 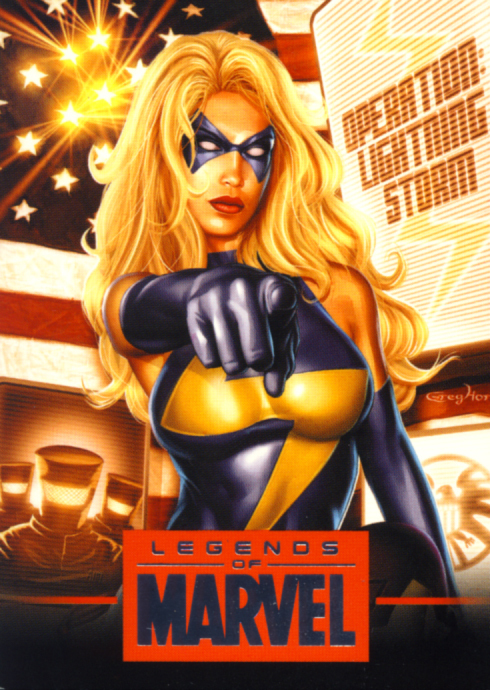 Even if this is your first purchase, there are limited quantities of matching sets of Series 1 (Captain America, Iron Man and Black Widow), Series 2 (Wolverine, Elektra and Thor) and Series 3 (Hulk, Moon Night and Storm) still available to match your purchase of Series 4. 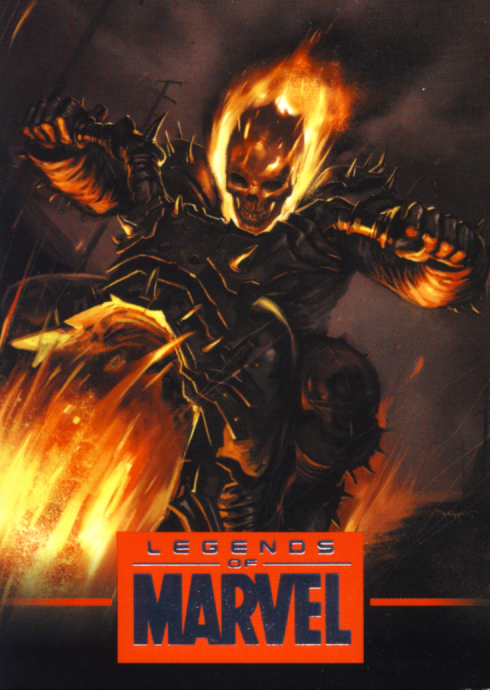 Here are all the cards from Series 4, front and back. 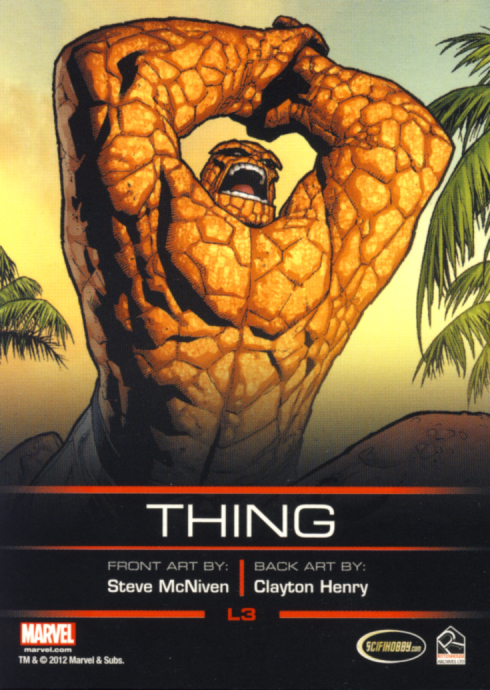 The multiple takes on the characters make for smart looking cards without feeling repetitive. 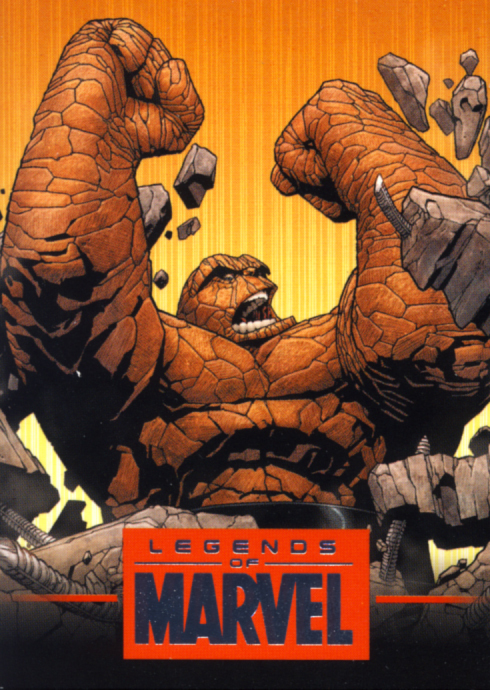 This set works on two levels. 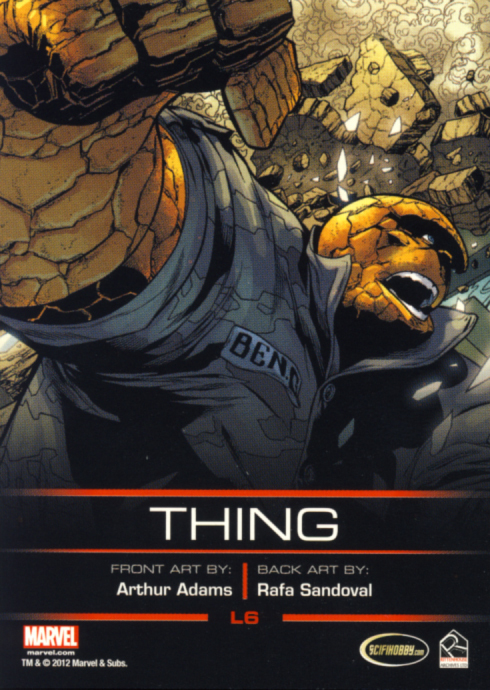 There is a nice trio of characters featured and the same can be said of the lineup of artists. 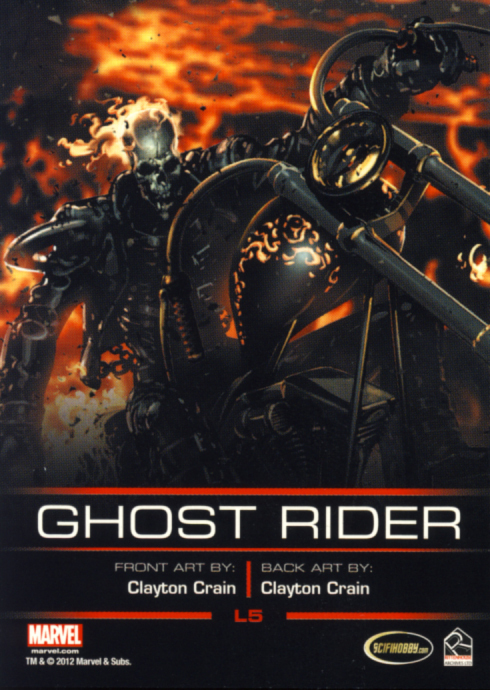 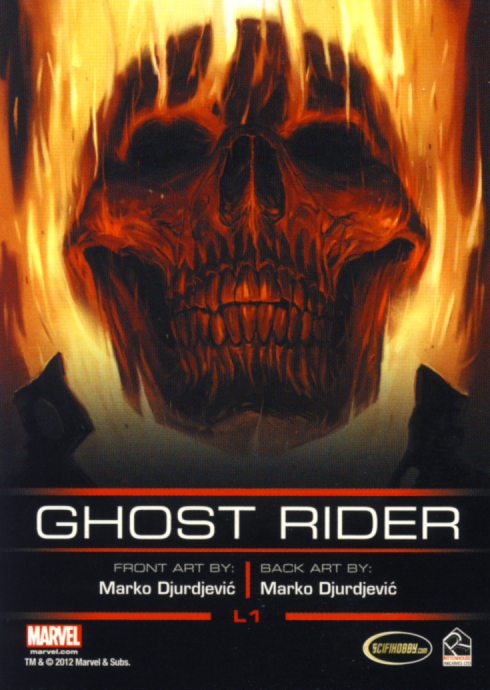 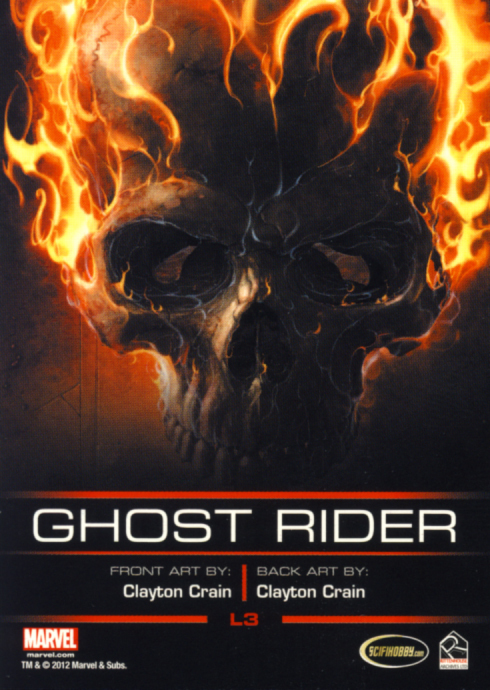 While Clayton Crain does a majority of the looks for Ghost Rider, it is hard to argue with that decision. 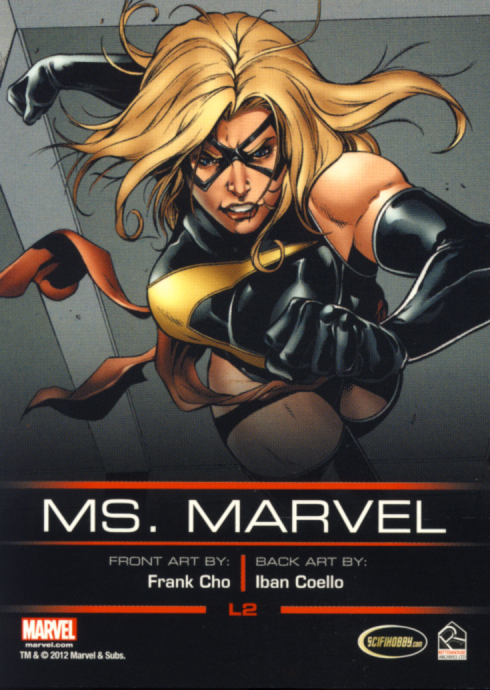 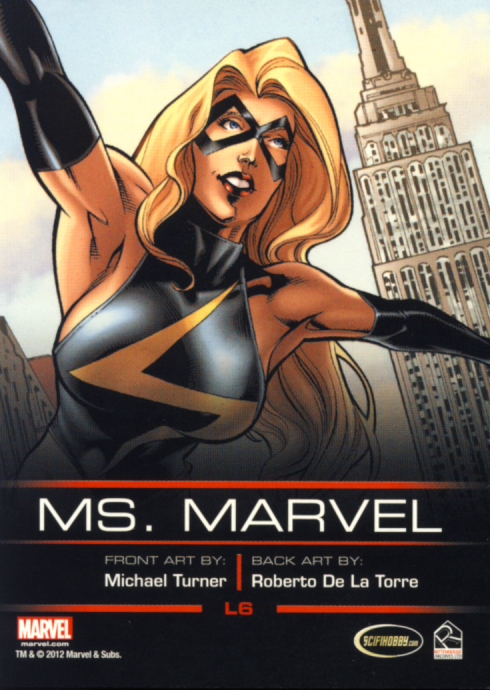 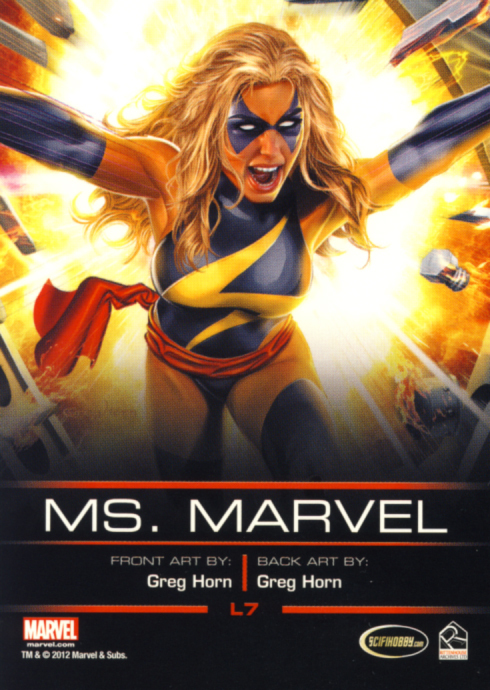 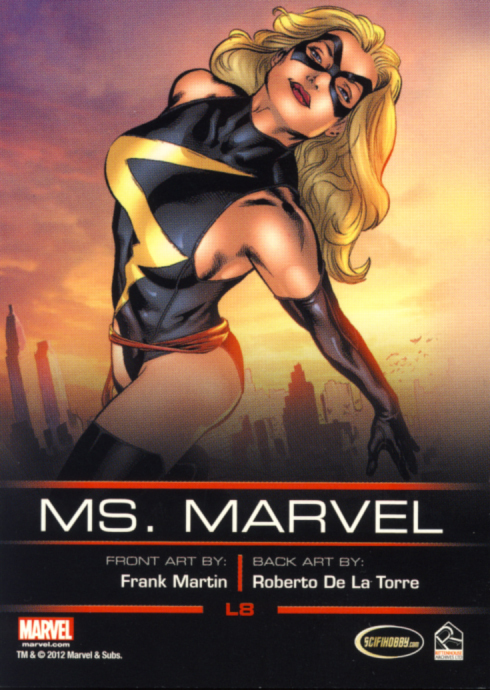 Many of his renderings look like they are from his amazing work on â€œRoad to Damnation.â€� The majority of Ms. Marvel images are by Greg Horn, another wise choice. 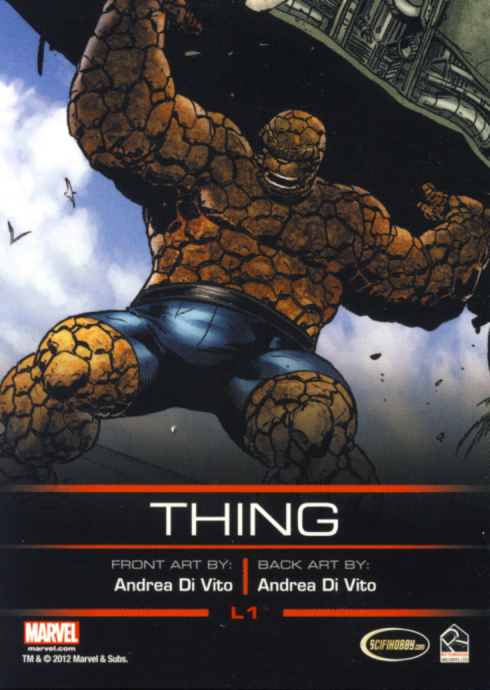 His artwork definitely stands out. 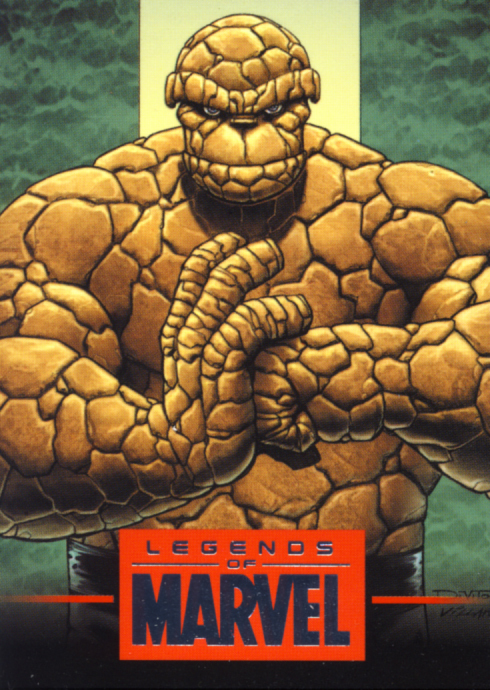 No hits here and none needed. 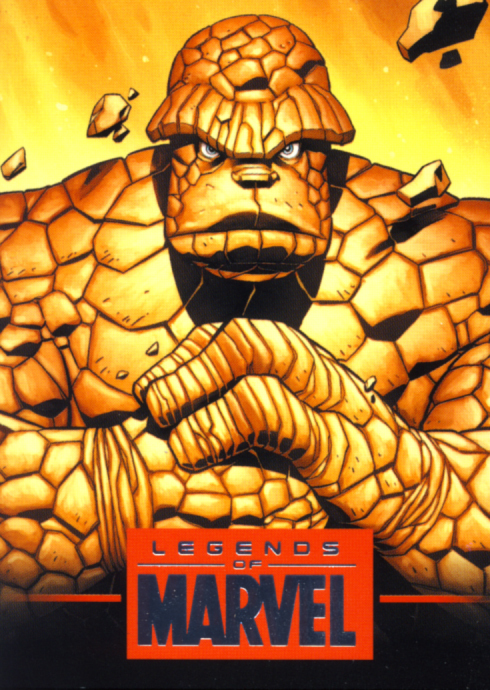 Certainly if you purchased Series 1, Series 2 and/or Series 3, you will want to add Series 4 to your collection. 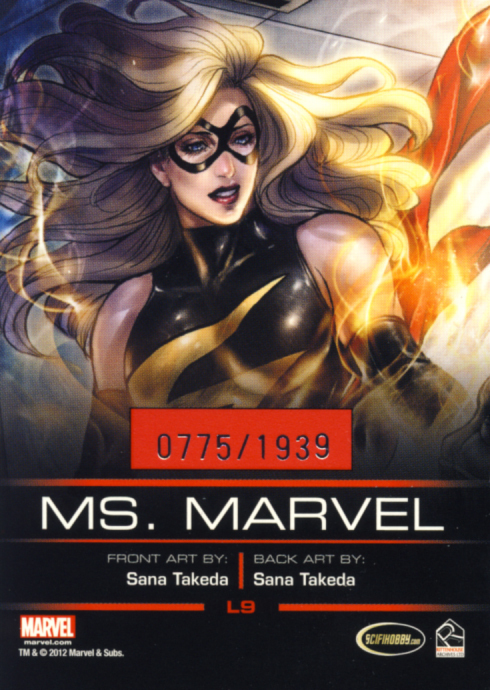 While some may want just this set because it contains their favorite character, if this is your first purchase youâ€™ll most likely want to take advantage of being able to purchase the matching numbered sets for Series 1, 2 and 3. 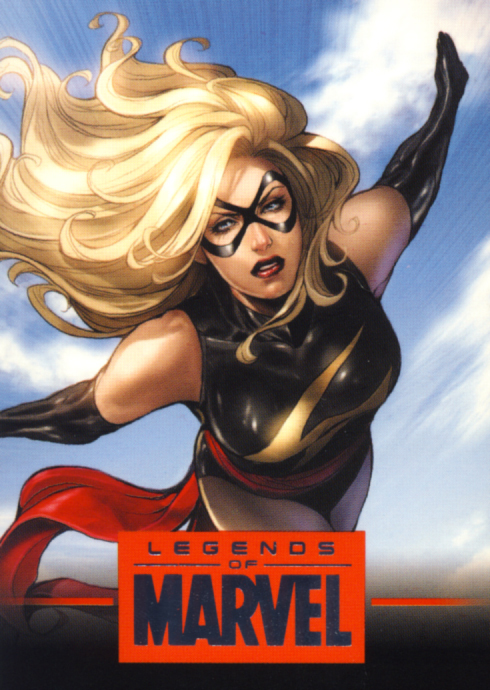 Rittenhouse Archives Legends Of Marvel Series 4 is another great release in the continuing Legends Series. 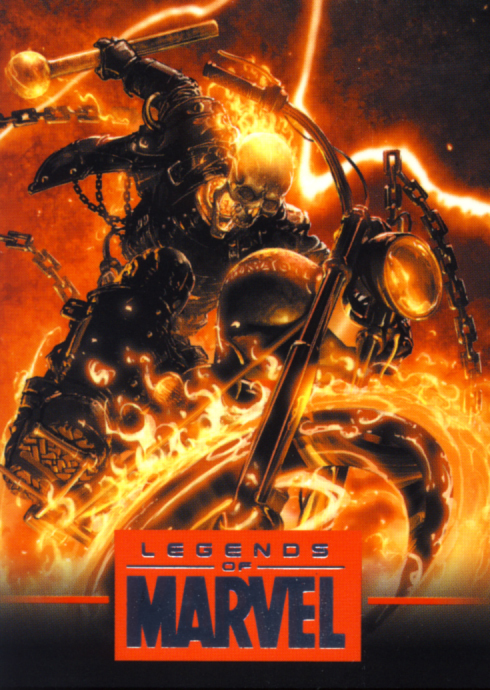 All times are GMT-5. 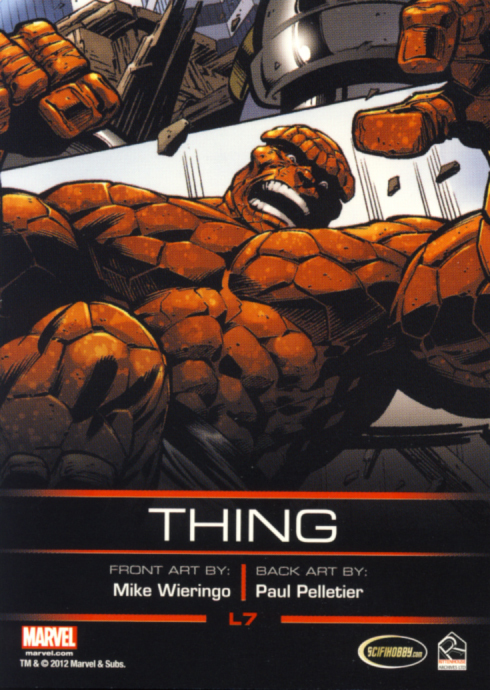 This page was generated at 11:44 PM.